the nation’s #1 bed liner brand. Rhino Linings provides the highest level of corrosion, impact and abrasion resistance for your truck beds and rocker panels. Abrasion resistance coating for Farmers, contractors, outdoorsmen and YOU can count on Rhino Linings® products to protect your investment. 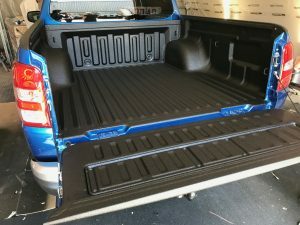 Our most popular product is the world's #1 sprayed-on bed liner! This polyurethane coating has a flexible and tenacious bond to metal, fiberglass and wood surfaces. 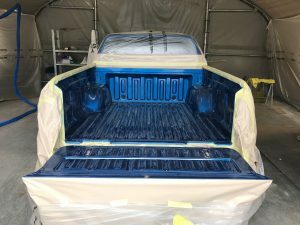 As the pioneer of the sprayed-on truck bed liner industry in the UK, boasting more than 16 years of experience protecting thousands of pickup trucks and vans. Rhino Linings provides the highest level of corrosion, impact and abrasion resistance for your truck bed, truck grille guards, bumpers and truck rocker panels. Farmers, contractors, outdoorsmen and YOU can count on Rhino Linings® products to protect your investment. As the brand name leader in the sprayed-on truck bed liner industry, consumers have come to know and trust Rhino® protective coating quality, strength and durability. Due to Rhino’s strong brand presence and expansion of product lines, the company has continued to experience solid growth with each passing year. Today, a growing number of domestic and international applicators and distributors offer Rhino Linings specialized formulations, comprehensive system packages, practical experience and professional support…all elements necessary to create mutually-successful long-term business relationships. Price includes all the preparation work prior to full application of the Rhino Protective coating to your truck bed.